Home / cats / Are dog people really happier than cat people? Are dog people really happier than cat people? 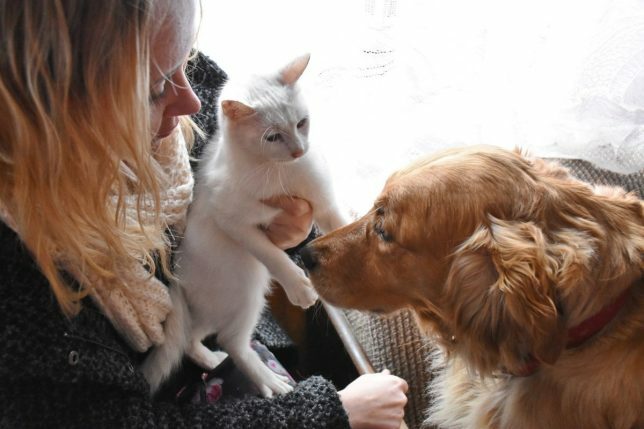 A new study has found that dog owners are significantly happier than cat owners. According to the findings, 36% of dog owners report being ‘very happy’ compared to just 18% of cat owners. The General Social Survey (GSS), which is run by social research organisation NORC at the University of Chicago typically use a sample size of between 1,500 – 3,000 to collect data about the attitudes and behaviours of Americans. Their latest findings appear to prove that dogs really are man’s best friend – and that they can even make us happier. But you have to take the findings with a pinch of salt. The figures don’t necessarily suggest a causation. It could be that other factors in the lives of dog-owners are contributing to this improved level of happiness. 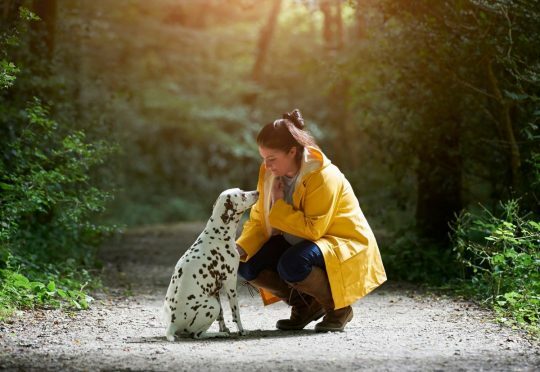 The survey’s findings also revealed that dog owners are more likely to be married and own homes than cat owners – both of which are factors that typically improve life satisfaction. If you have a dog, you’re much more likely to live in a bigger house, near green, open space – this fact alone could improve your overall happiness levels. Cats are much more flexible and you can technically have one anywhere, even a shoe box high-rise flat surrounded by concrete. Not exactly a winning combination for perpetual life satisfaction. Additionally, owning a dog means walking that dog. That’s at least an extra 30 minutes outside in nature that cat owners aren’t necessarily getting every day. And, as we reported, just 20 minutes in nature every day can reduce stress levels. Being physically active on a daily basis can be hugely beneficial for your mood and overall well being. Having a dog is a natural way to ensure you don’t spend every evening glued to your sofa. Whereas a cat sleeping on your lap can have the exact opposite effect. So is it time to consider giving up your feline friend? Are you destined for a lifetime of despair if you happen to prefer kittens to puppies? We don’t think so. Owning any pet will help to improve your happiness. Goldfish, hamster, rabbit, kitty – research suggests that owning any of these furry friends can improve your cardiovascular health and lower your blood pressure.